Gabi ’23 is no stranger to the runway. 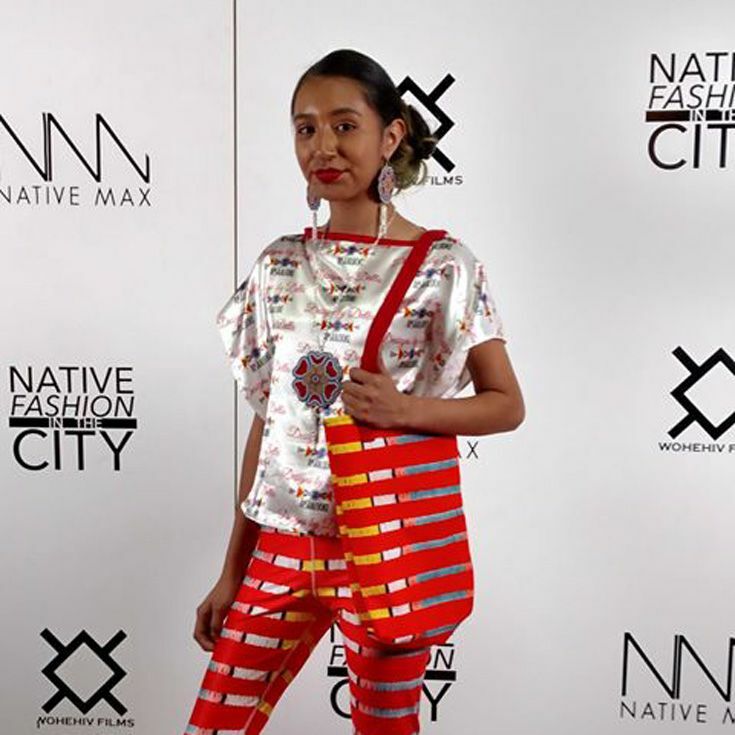 She’s been modeling for the last five years, but on Saturday she took her biggest stage yet as part of the 6th annual Native Fashion in the City event, the premier Native American fashion event of North America, which was held in Denver, CO. Gabi is Diné (Navajo). The show featured ten designers and dozens of models representing many tribes throughout the States. Gabi modeled for designer Della Big Hair-Stump (Designs by Della) from Montana. 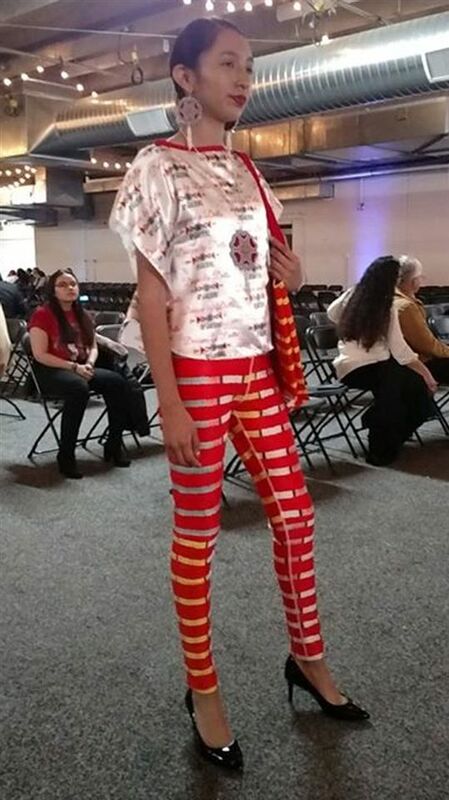 “I really enjoy modeling because it encourages younger generations to start modeling and helps Native American designers to showcase their unique designs,” said Gabi. 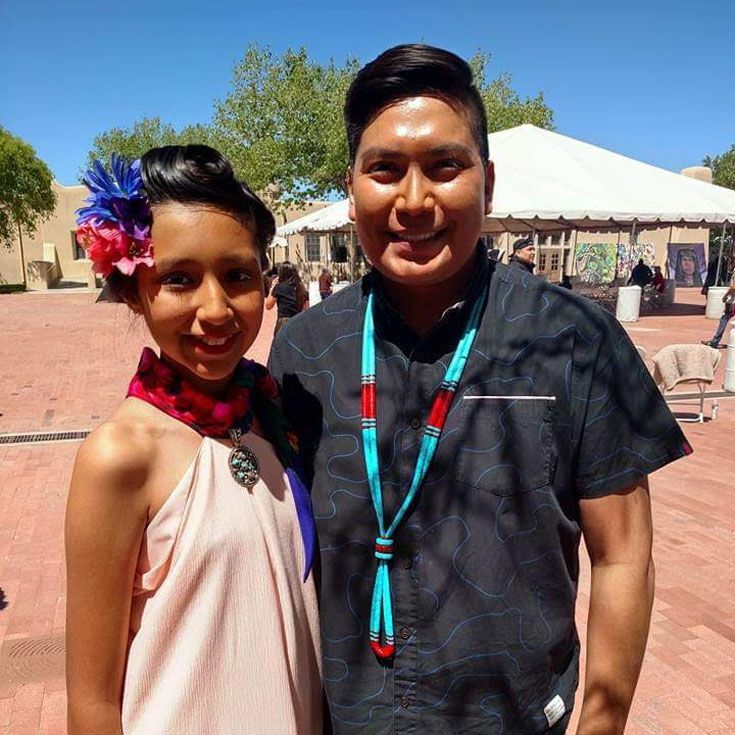 Gabi got her start in modeling after responding to an Albuquerque Public Schools’ (APS) email seeking Native American models for its fashion show. 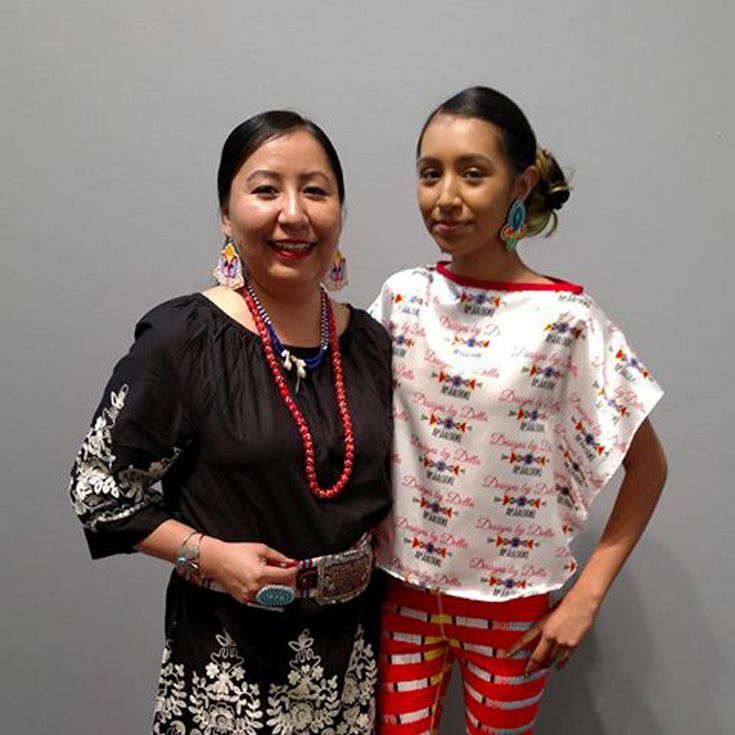 Since then, she’s participated in the APS Native American Fashion Show a number of times, the next on April 11, and has modeled for Navajo designer JG Indie in shows at Meow Wolf, Albuquerque Convention Center, National Hispanic Cultural Center, and Indian Pueblo Cultural Center. She now has plenty of modeling experiences under her belt, and Gabi can also add “actress” to her resume. Last year she was cast as an extra in Goldfinch, a feature film set to be released this summer.